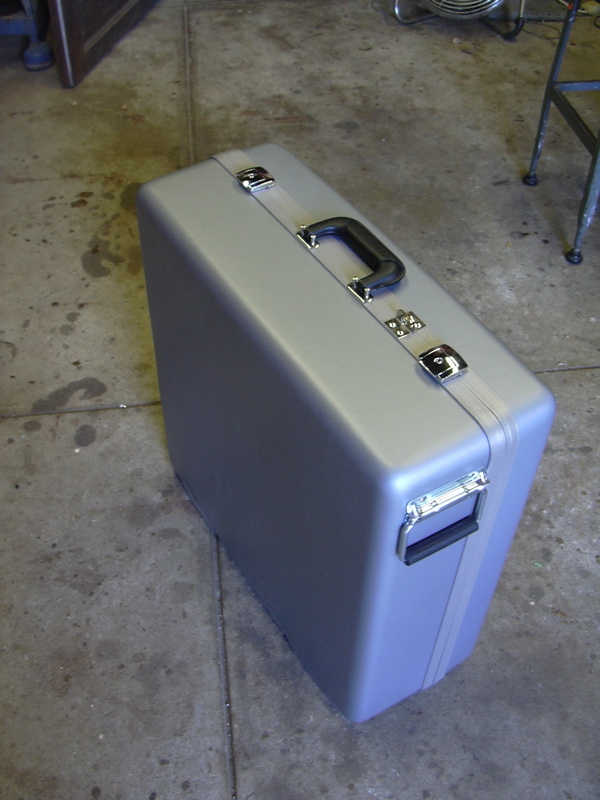 You are currently browsing the Bullwhip blog archives for September, 2008. 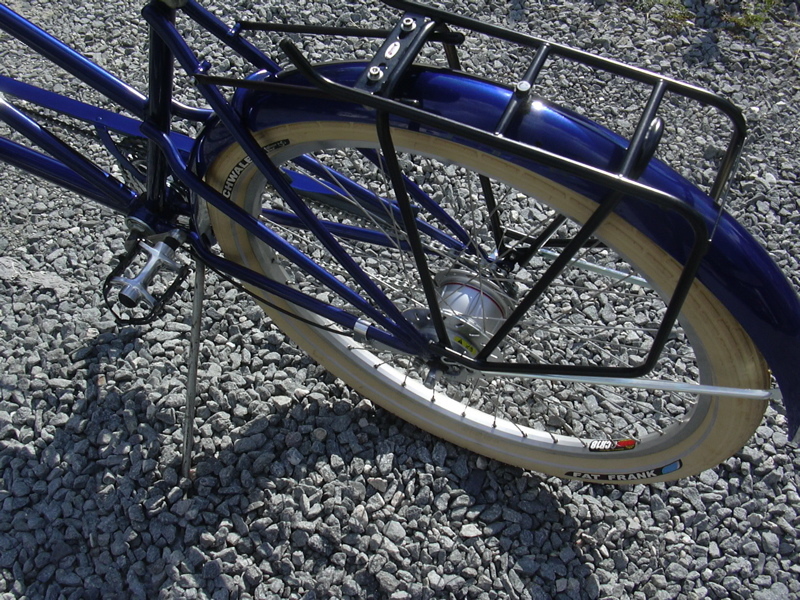 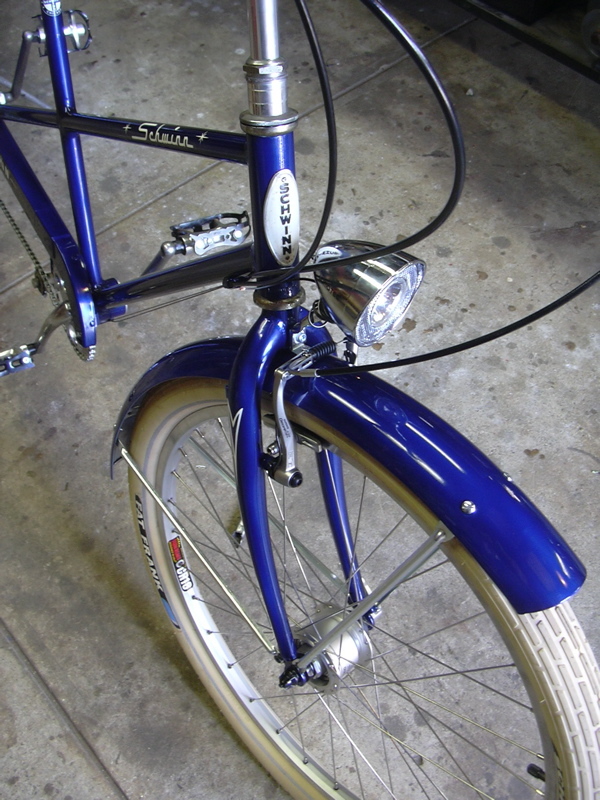 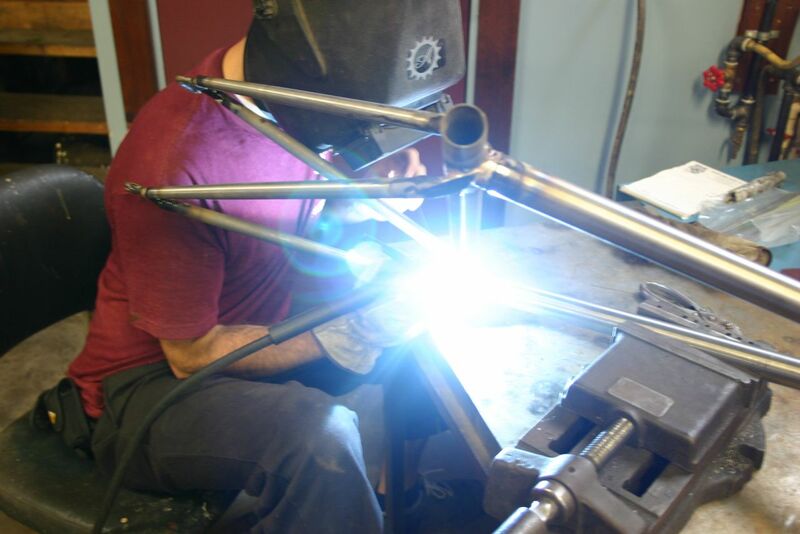 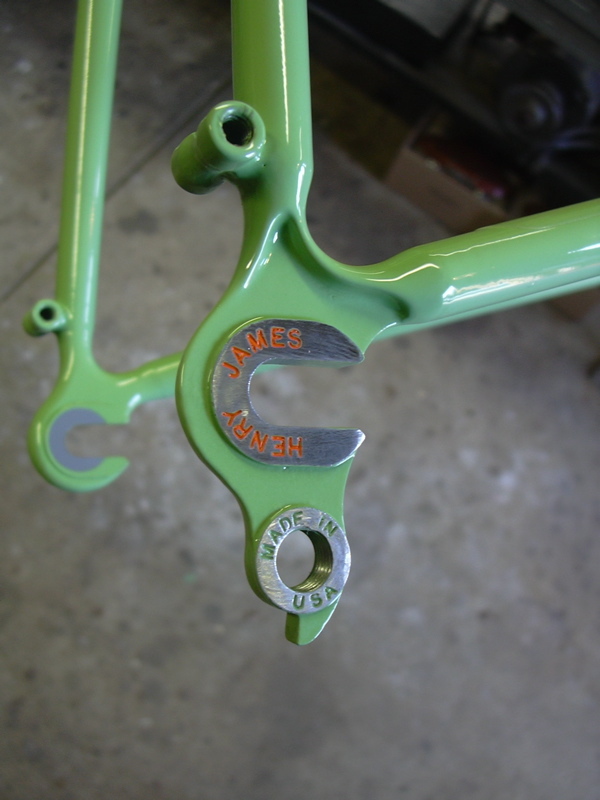 I also shipped off Sam’s coupled touring bike. 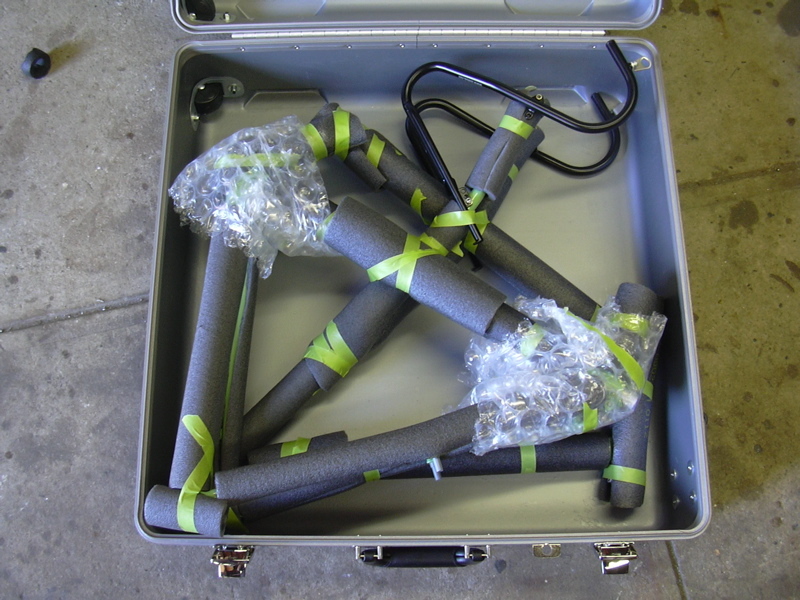 Here are some shots of the complete bike, and how it looks packed up in it’s travel box. 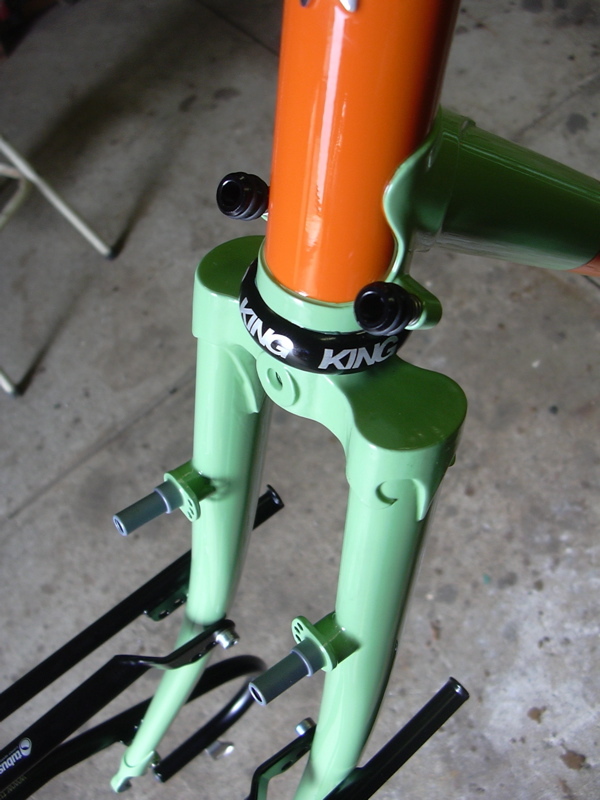 And it’ll fit in there with all the components too! 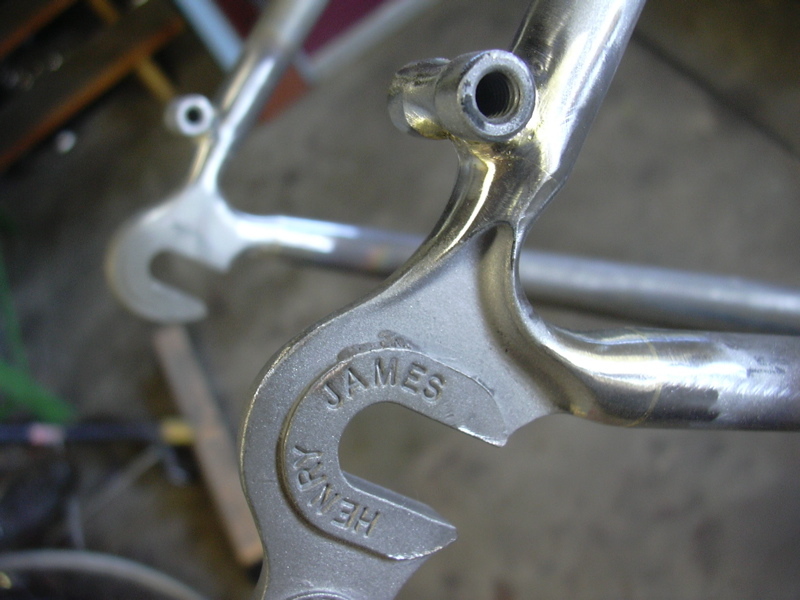 And finally, Kipchoge of the Ginger Ninjas came while they were touring the east coast with their pedal-powered and -transported good time roadshow, and with Tom and Mike from Recycle A Bike, I helped him straighten a bent dropout on one of their eight (!) 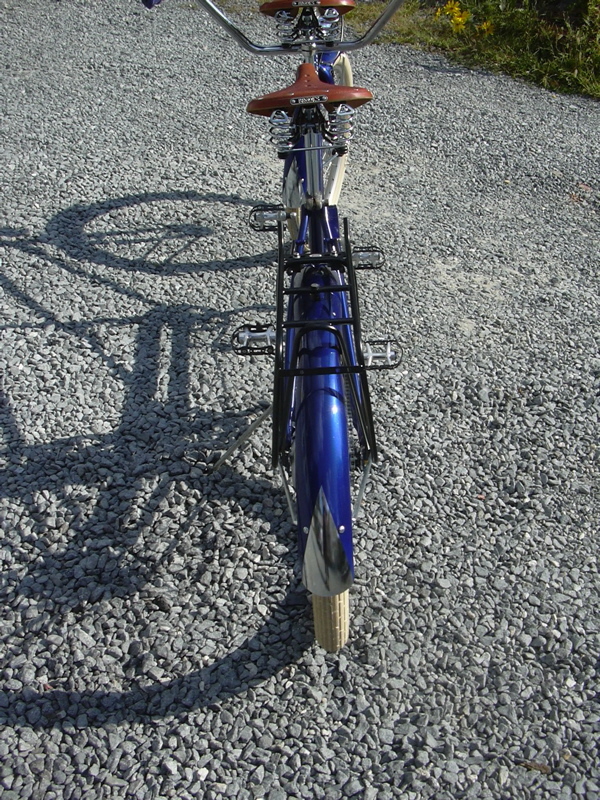 Xtracycle equipped bikes! 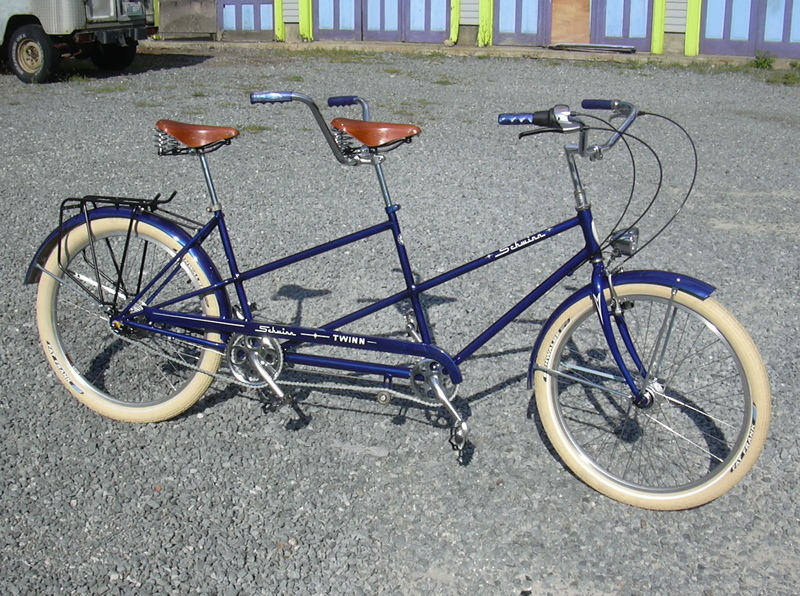 Catch them if you can-can! 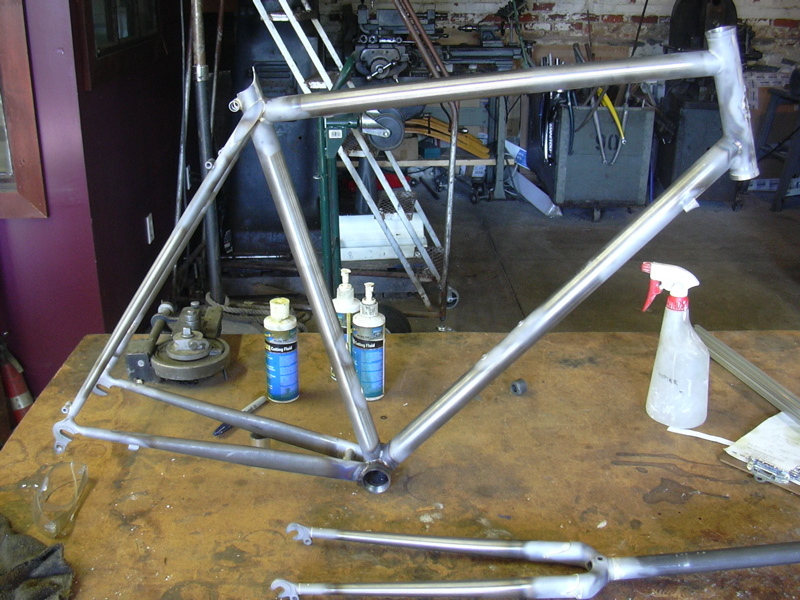 Here are some shots of construction. 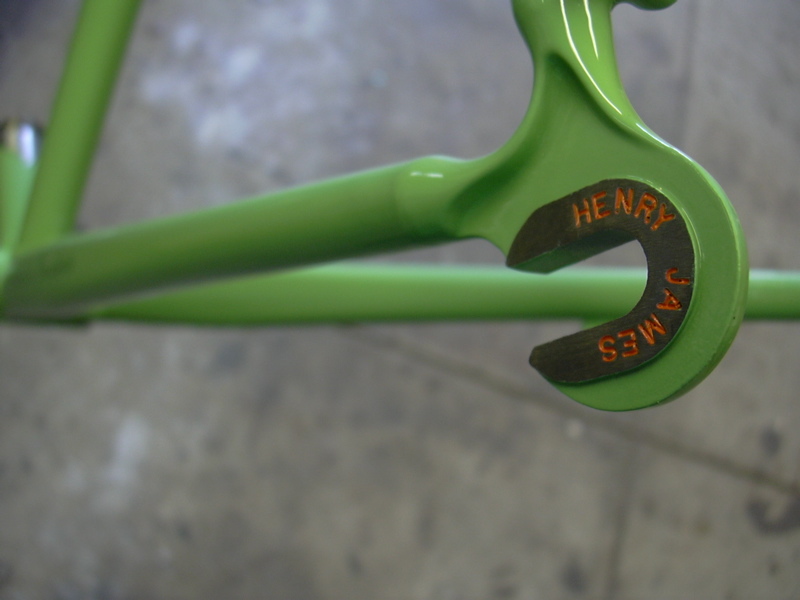 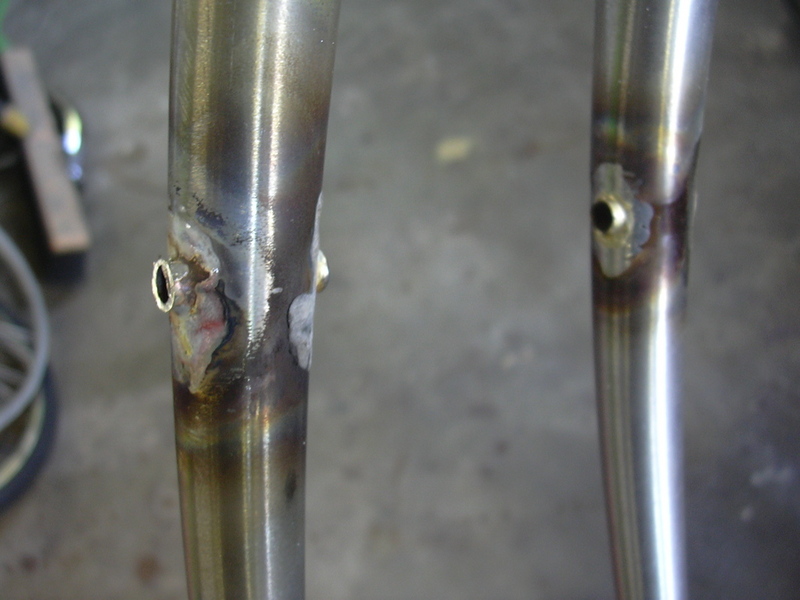 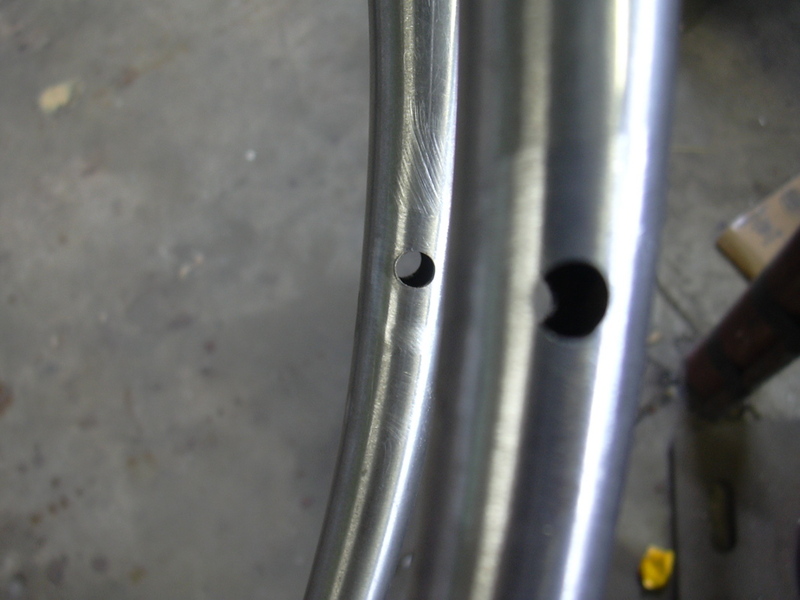 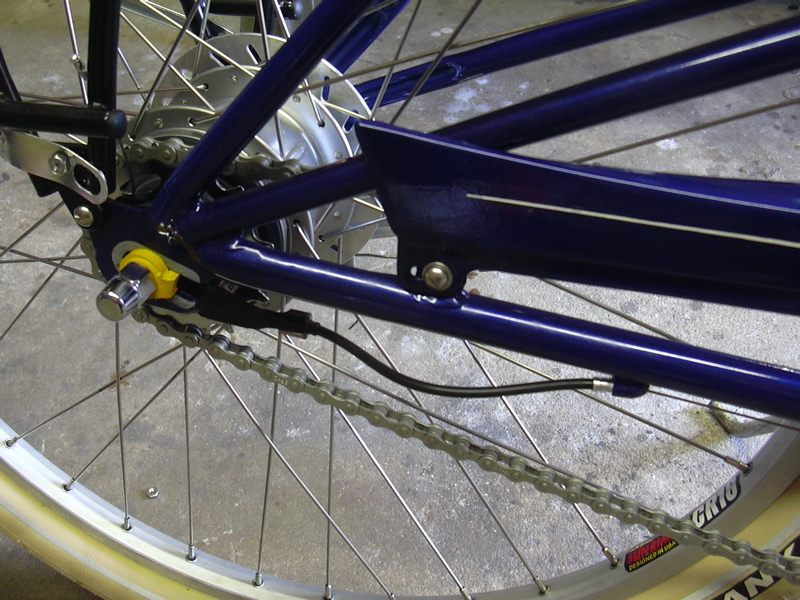 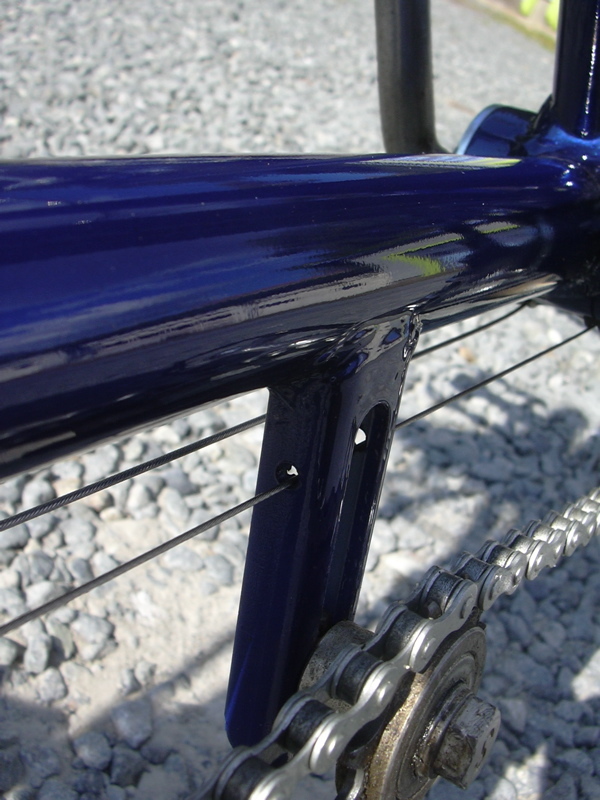 As on many of our touring bikes, I used Henry James dropouts because they have enough of a slot so you could cut the chain and run it as a single speed if your derailleur blows up in Timbuktu. 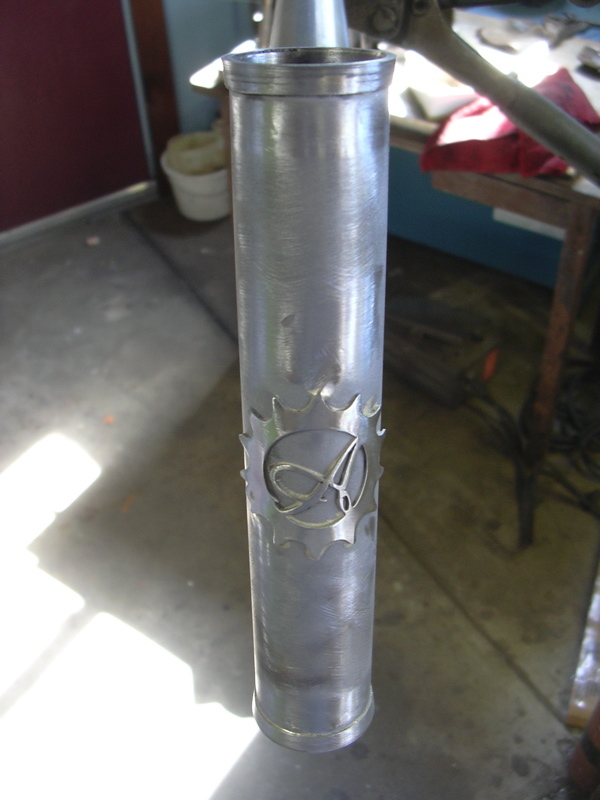 He sent us an EPS file of the image so we can cut it out of vinyl as a stencil. 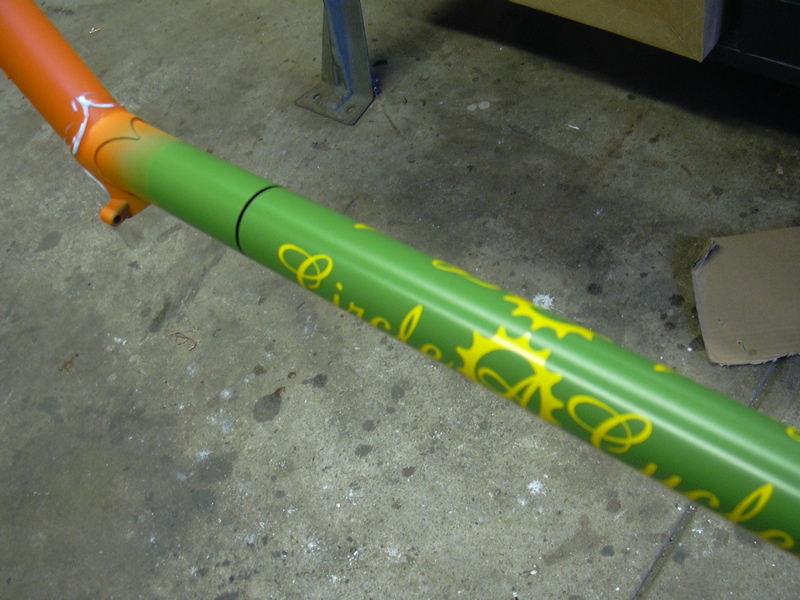 He also wanted the bands on the edge of the panels and the lettering to be in the same green; this meant painting on the logos, instead of using the decals we have printed. 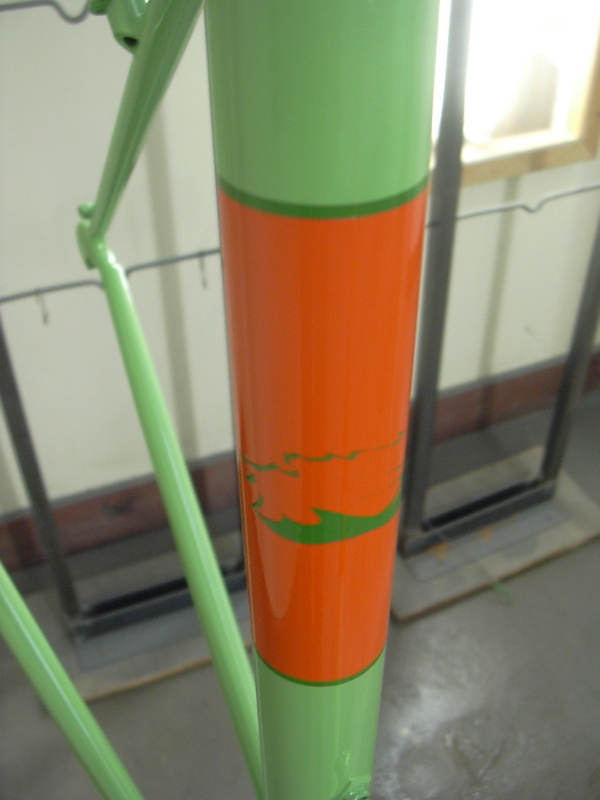 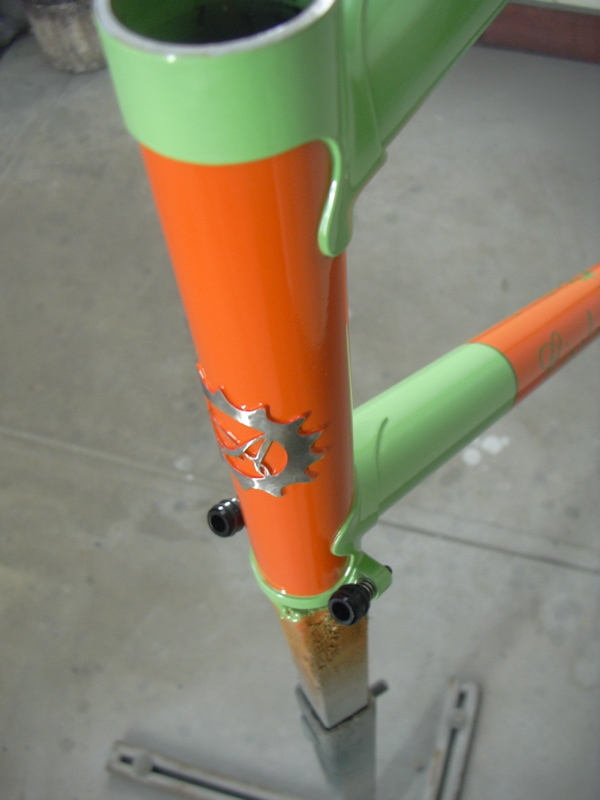 So first I painted orange on the head tube, and green for where the logos, bands and leaf would be; then I cut and weeded the vinyl for the logo stencil and leaf, and applied them over the green. 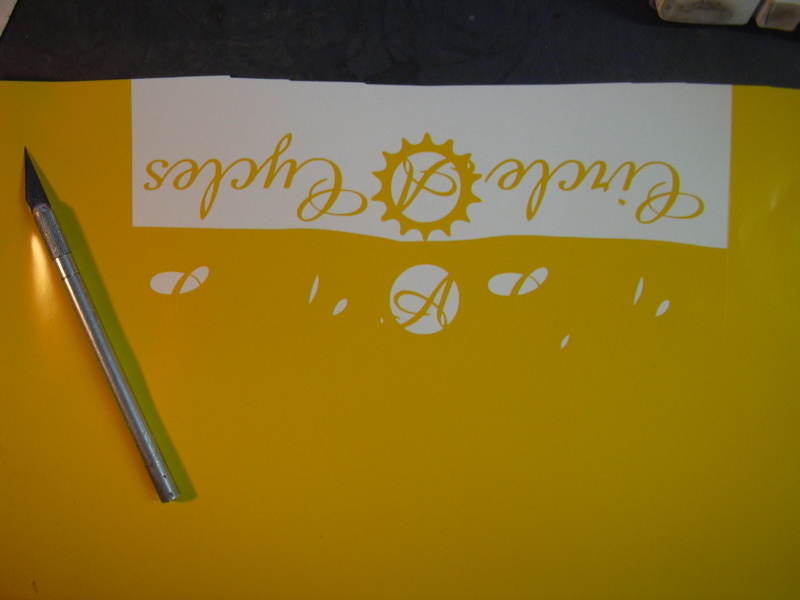 The vinyl for the logos is yellow, for the bands, black. 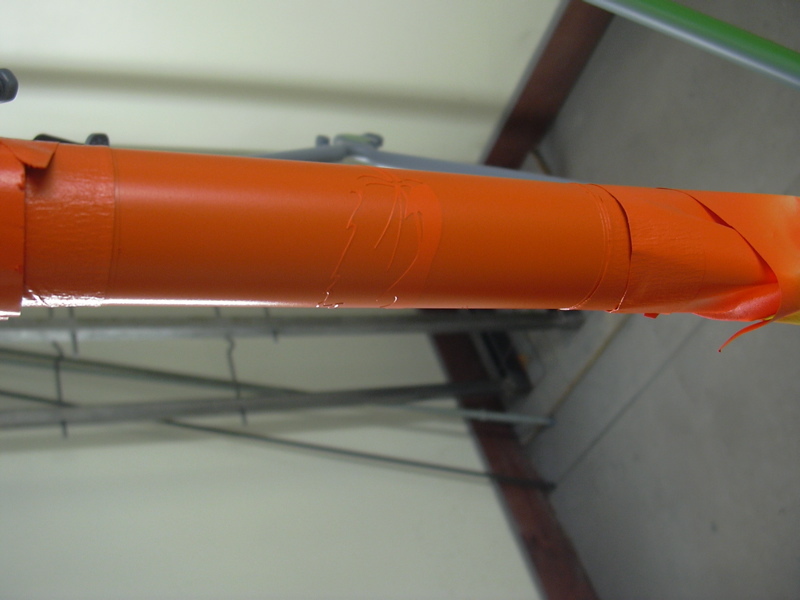 After spraying the orange for the panels, I peel off the vinyl, and there is the green lettering. 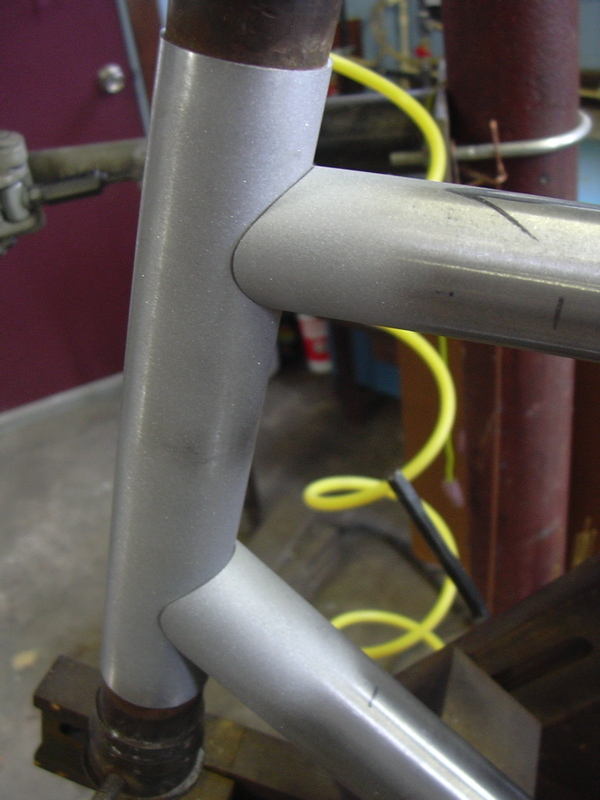 In that last one you can also see the Spray Mask that I’ve applied over the lug lines so I can mask those properly. 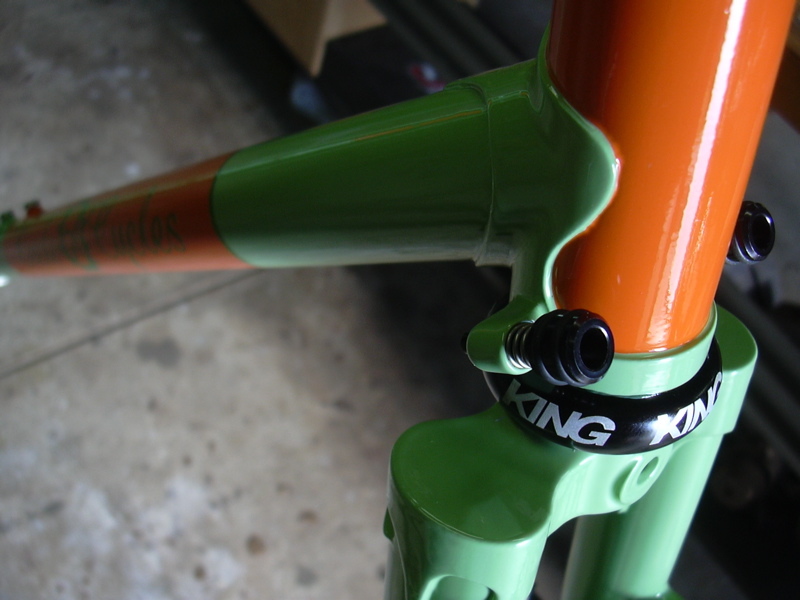 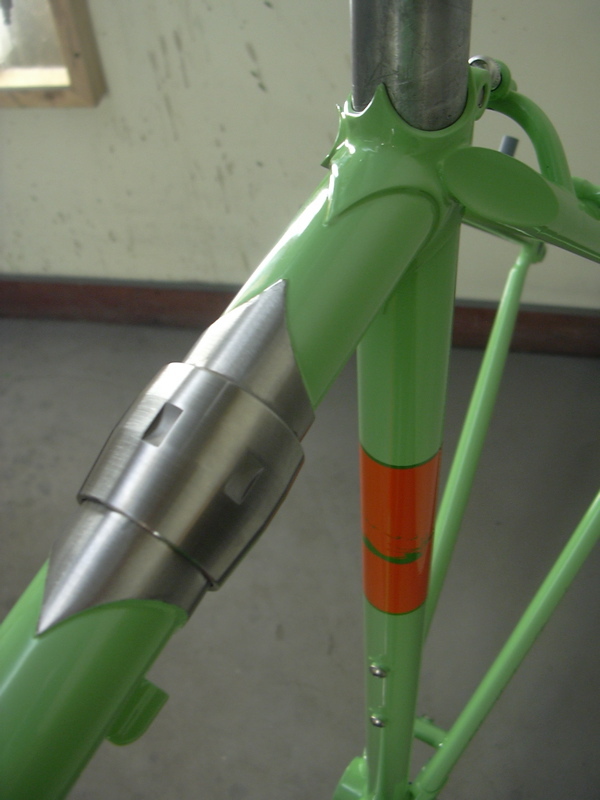 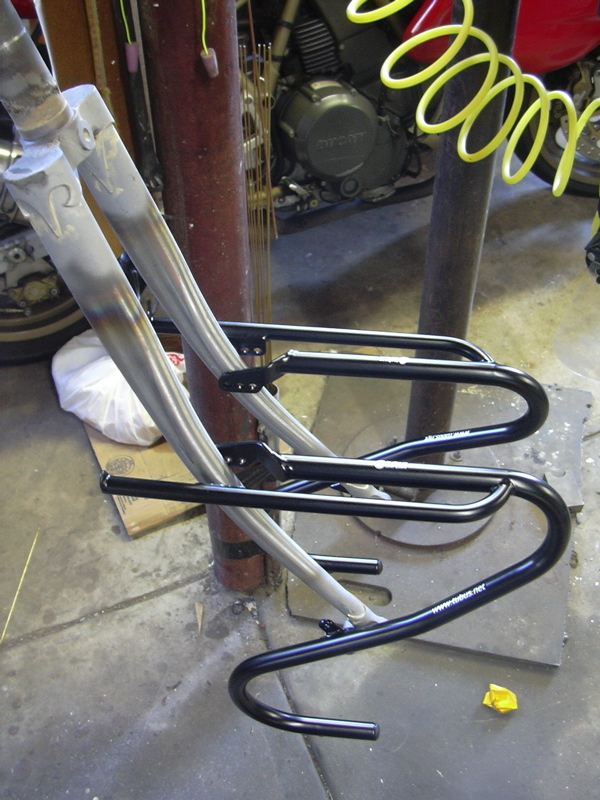 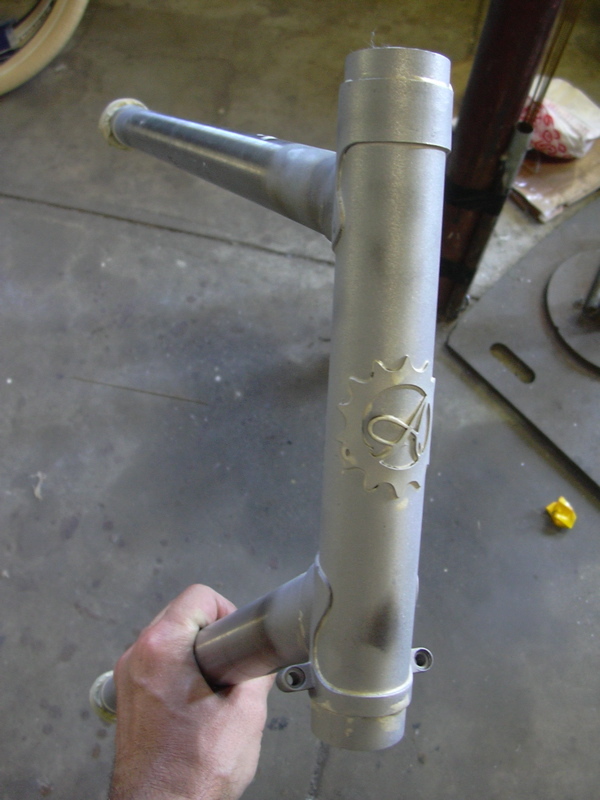 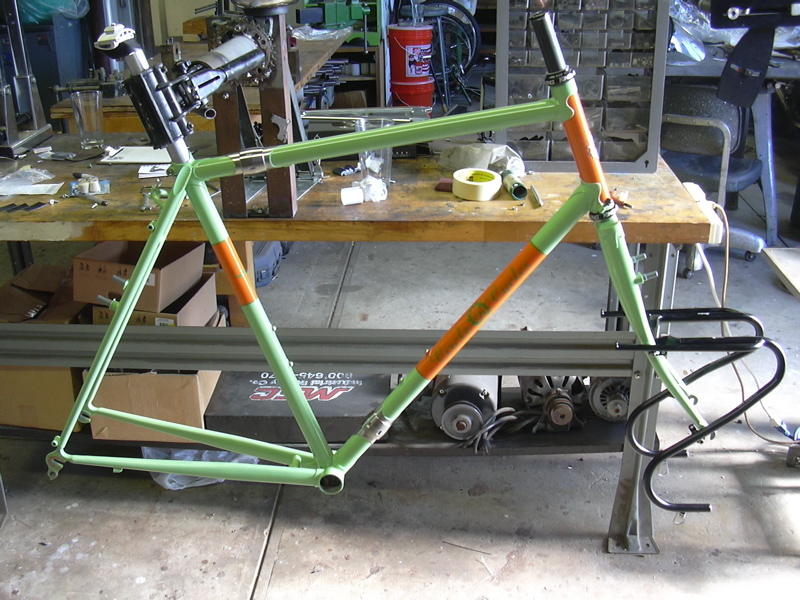 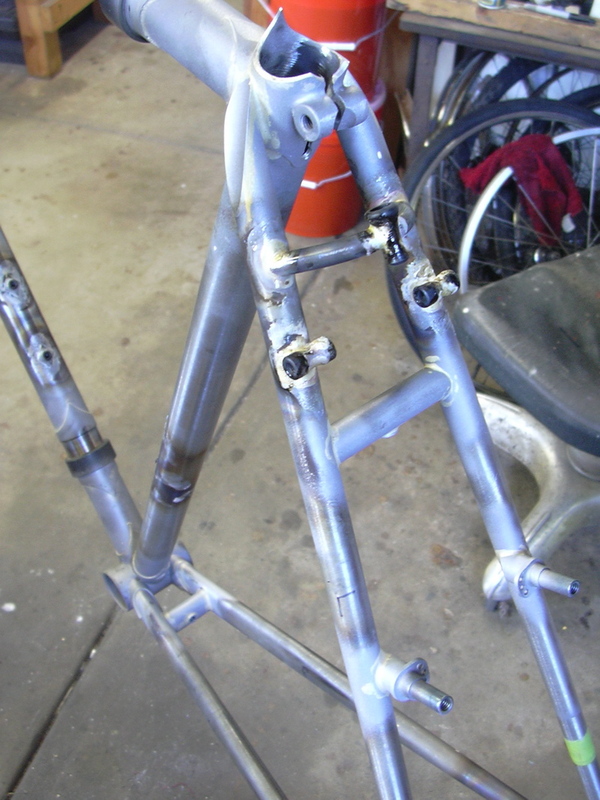 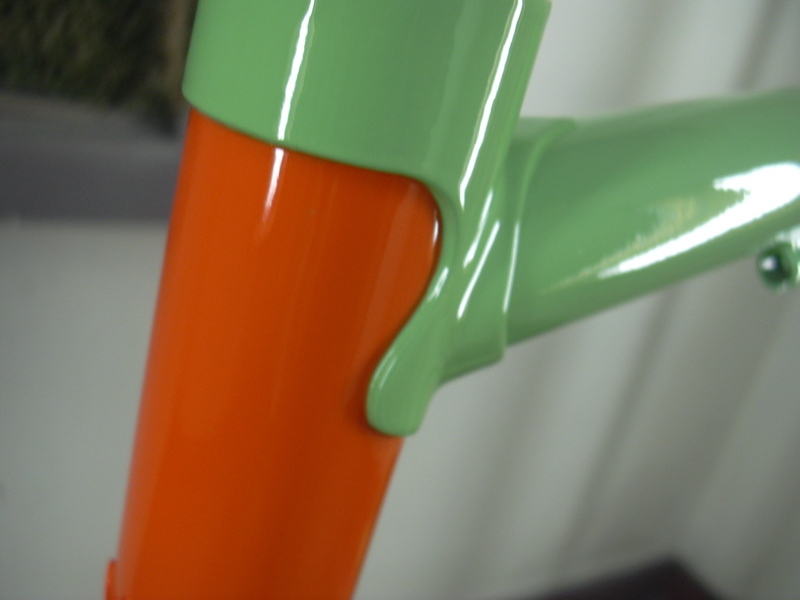 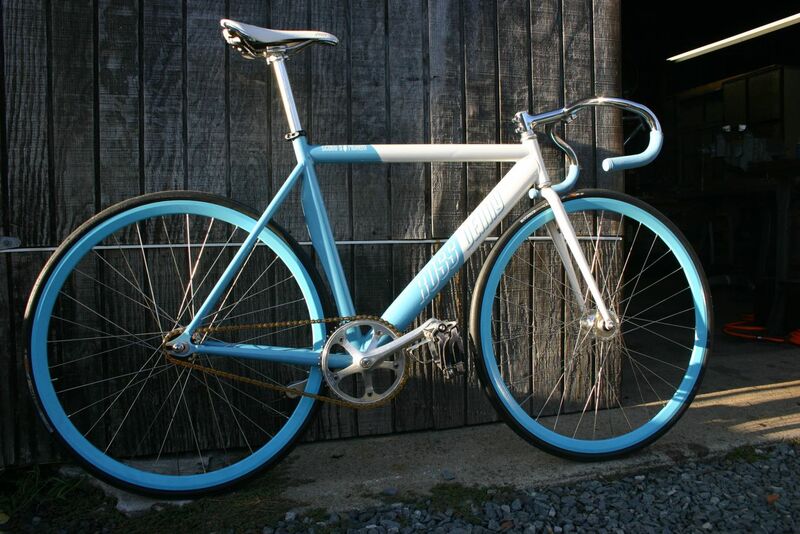 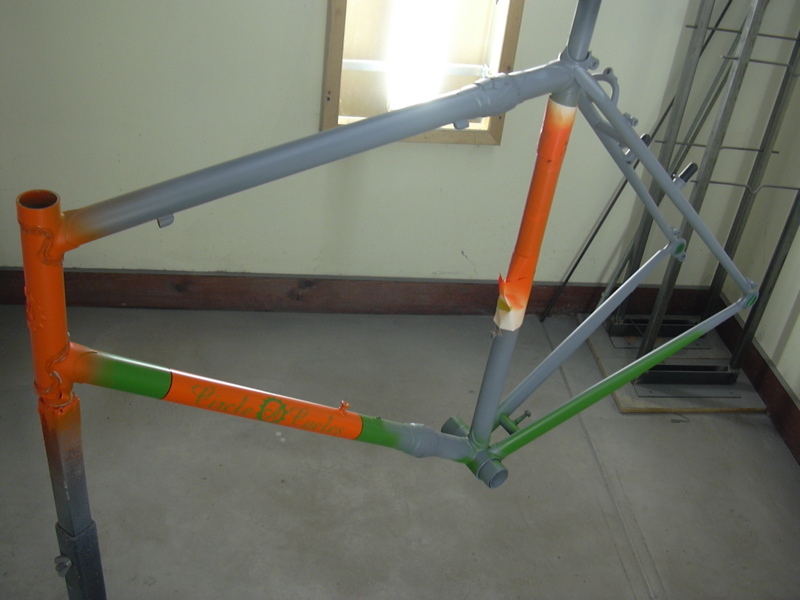 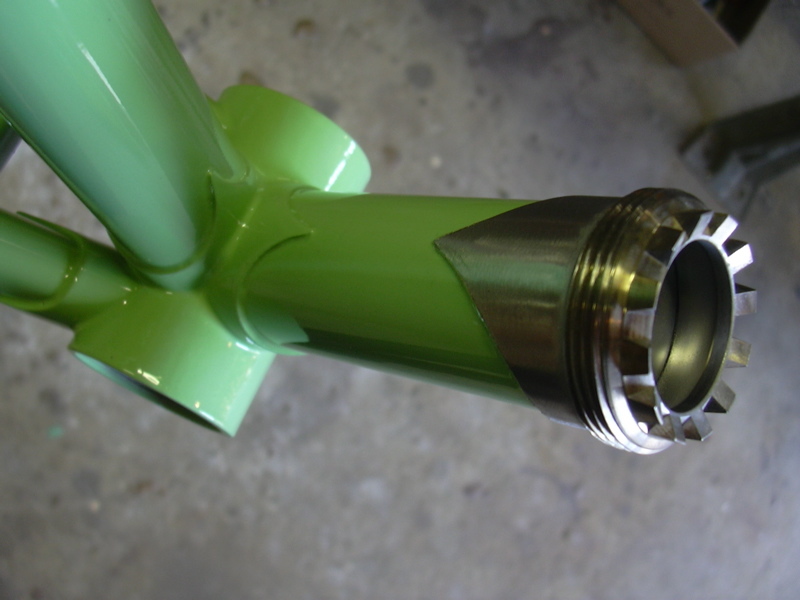 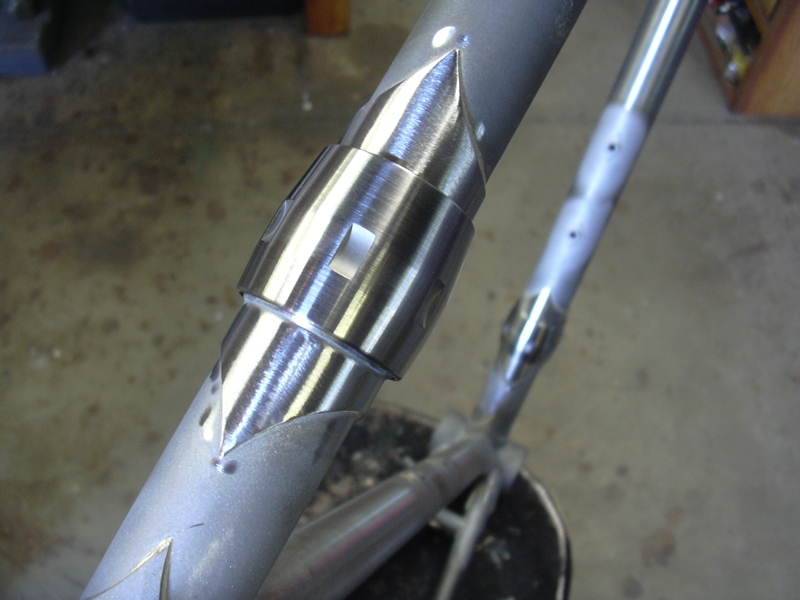 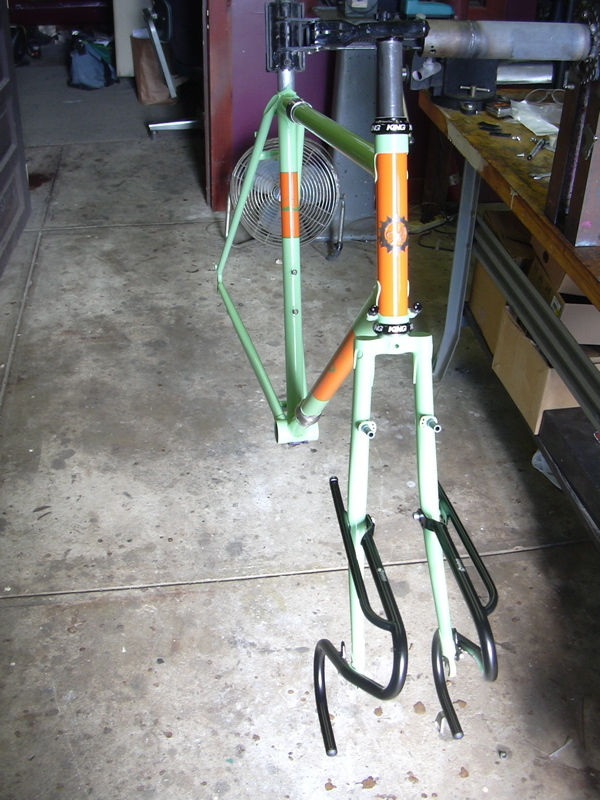 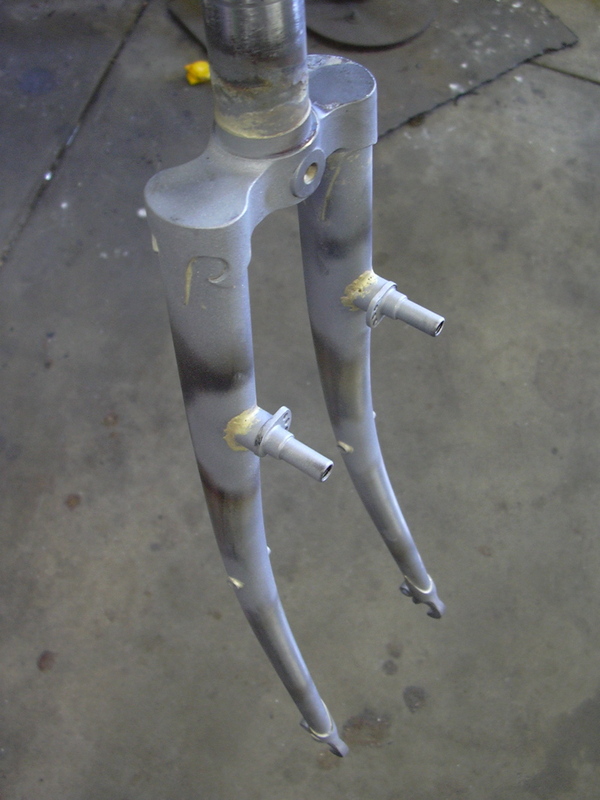 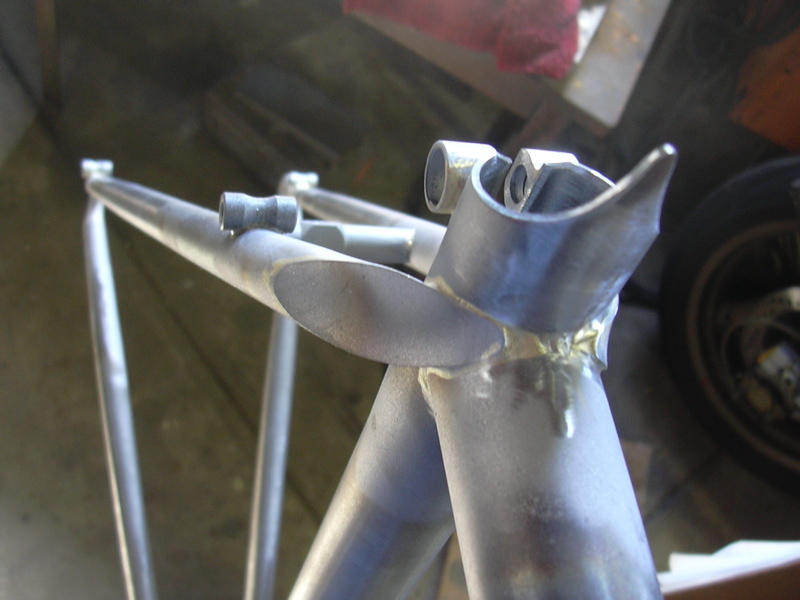 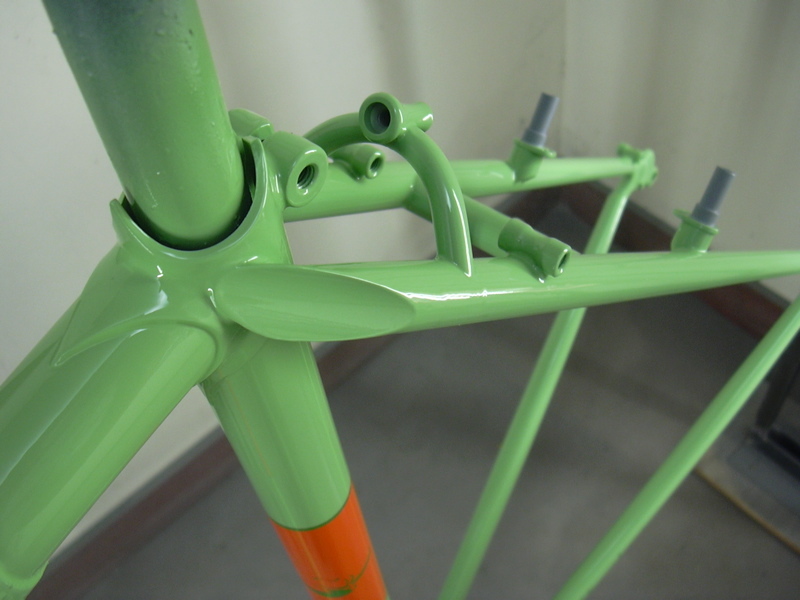 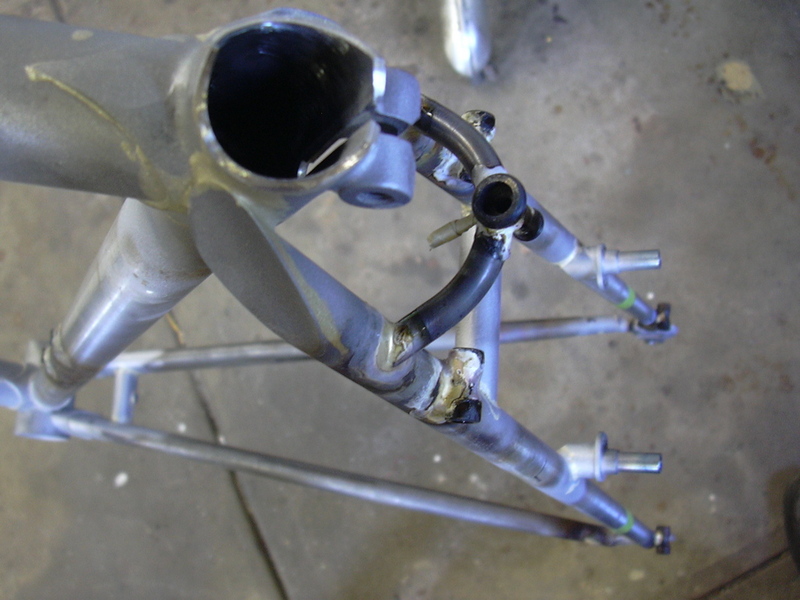 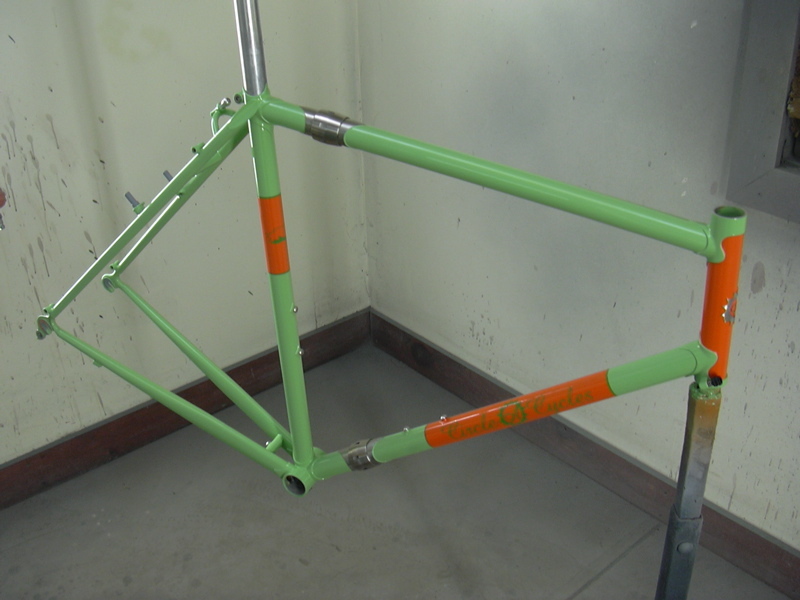 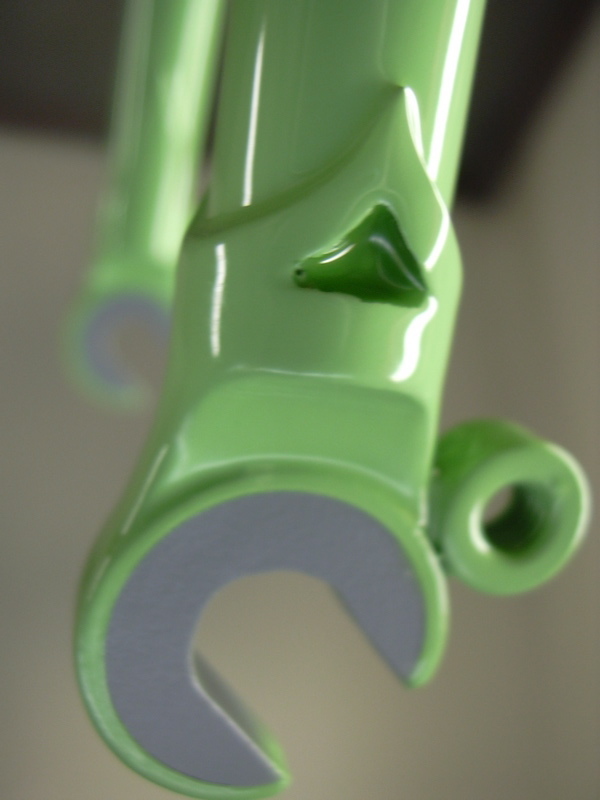 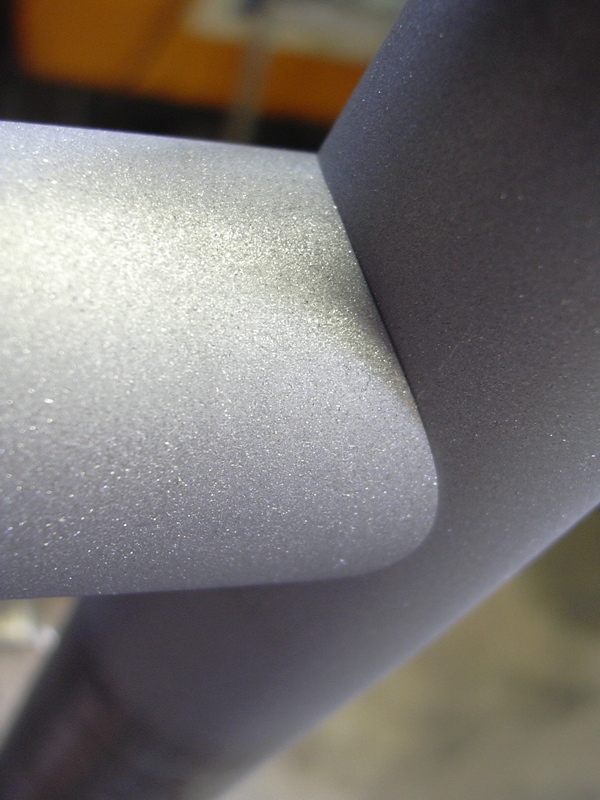 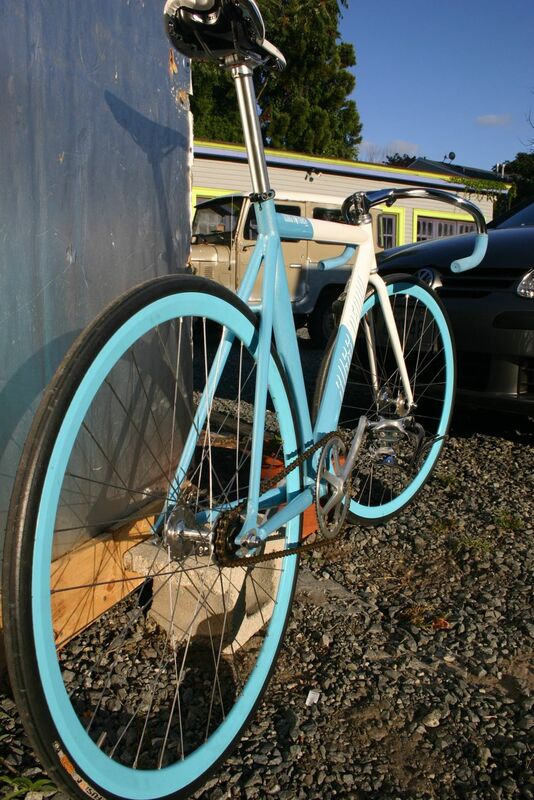 Then I cover the head tube completely, cover the panels, and spray the final mint green.